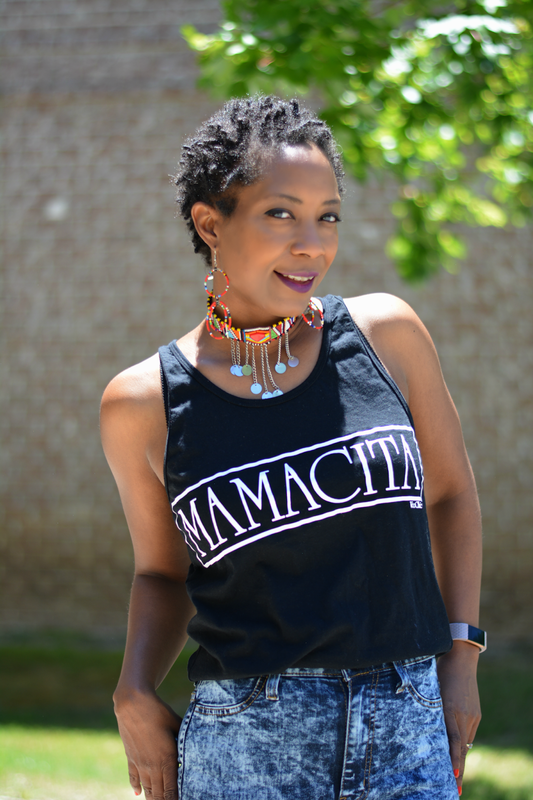 Mother's Day came a little early with a gifted Mamacita tank top from VooChic & Co Handcrafted Apparel. It's the perfect addition to my summer wardrobe. The fit is loose and comfortable. It's great for working out and cute to wear running around town. 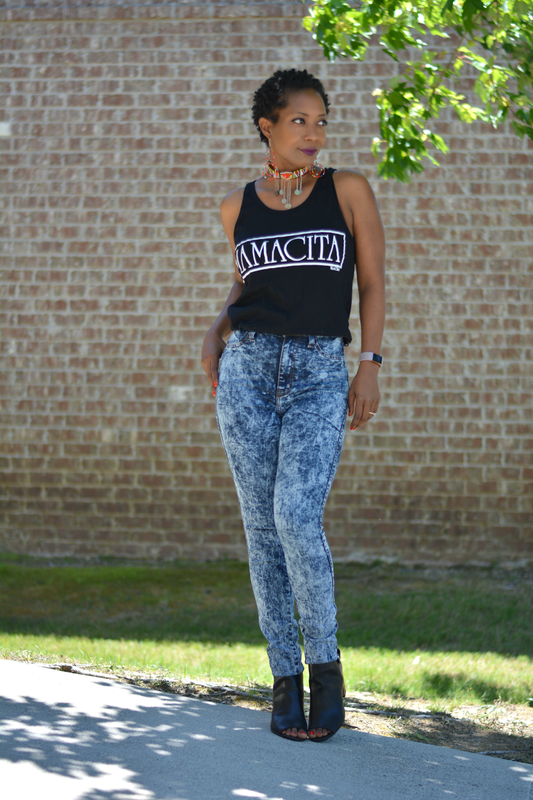 VooChic is all about being creative, unique and being your own brand. That's exactly what I added in this weekend casual mom look. 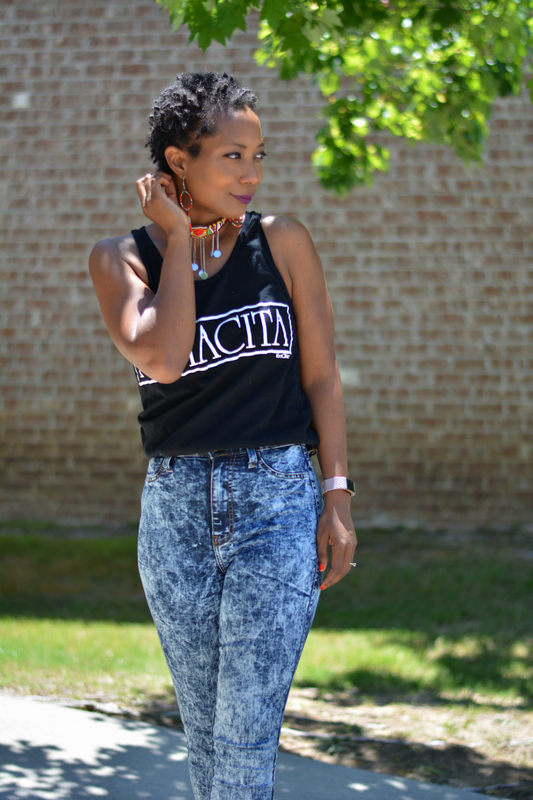 I love how the tank looks paired with 80s inspired jeans and Kenyan beaded jewelry in today's outfit. 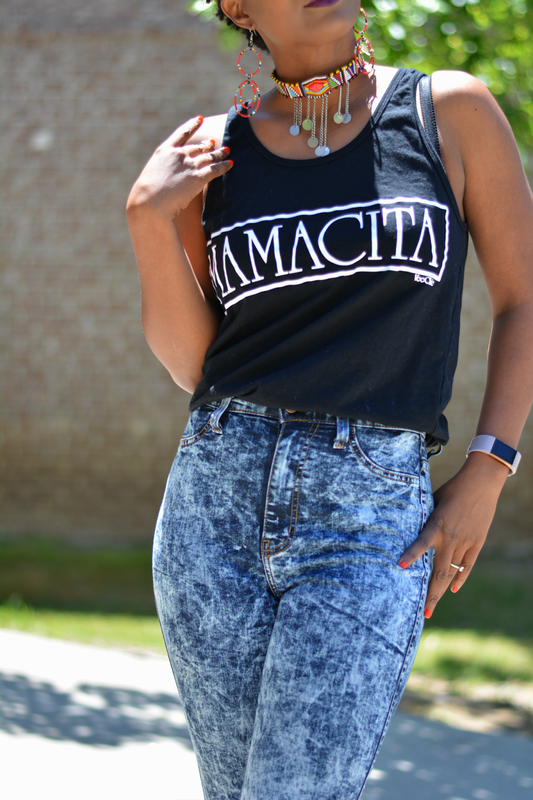 The Mamacita tank not only describes who I am but it just so happens to be one of the many nicknames I have for Violet. The tank is a super soft cotton and feels great on my skin. I've worn them with khaki shorts so far. 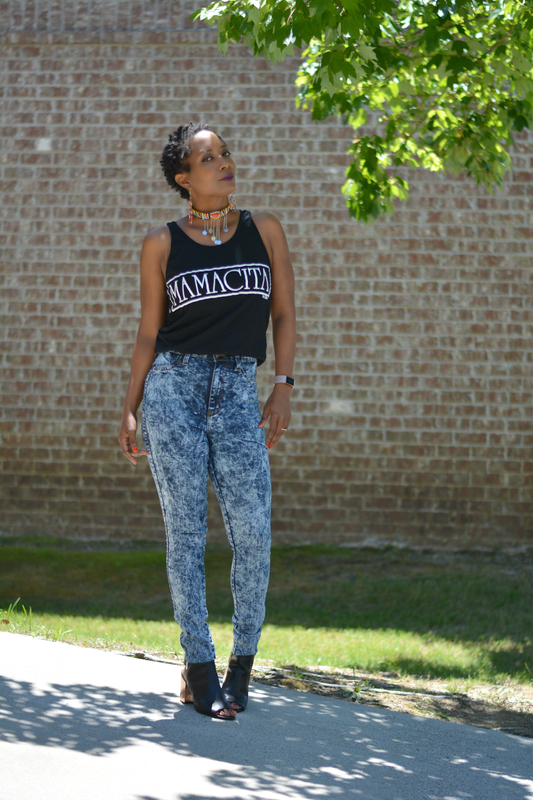 I think it will look great with the full african print maxi skirt I'm determined to make before summer is over. Today I'm wearing it with acid washed jeans from my Black Friday thrift haul. They were a steal at $5. They're very stretchy and leggings like but I still get to pretend I'm wearing pants because of the back pockets. I need all of my jeans to come up this high on the waist. Since I changed up the peep-toe shooties, I've added them back into my staple shoe rotation. I especially love that I can redo them again and again easily with different kinds of contact paper. They're the perfect shoe for this up and down weather. Toes out and no socks but I still have good foot coverage. My necklace and earrings are pieces from my husband's last trip to Kenya. I thought the long dangly earrings and the coin choker would be too much to put into one look but I did it anyway. It's a bold choice but I think they compliment each other very well. If you'd like to check out some pieces from VooChic, follow them on Instagram or check out the Etsy! Are you making any Mother's Day plans?